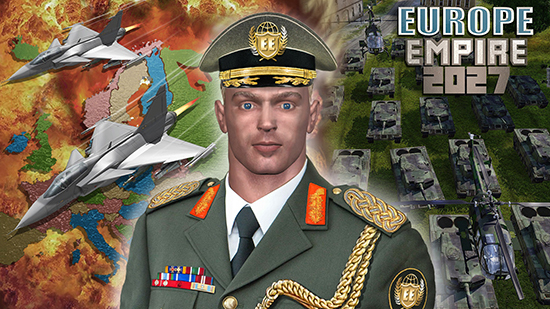 Europe Empire 2027 is a turn-based single-player and multiplayer strategy empire building war game set in Europe. Based on real data, Europe Empire 2027 is designed in a way that you, taking the role of the leader of the rebels of the country you select, will have to decide between different scenarios. It’s up to you to use diplomacy or declare a war. Europe Empire 2027 contains weapon suppliers, a spy centre, a war room, diplomats, economy, technology and very advanced artificial intelligence. Soon we will add the United Nations. The weapons integrated in Europe Empire 2027 are Mercenaries, Armoured Personnel Carriers (APCs), Tanks, Artillery, Anti-Air Missiles, Helicopters, Fighter Jets, Ships, Submarines, Fighting Robots, Unmanned Aerial Vehicles (UAVs), Aircraft Carriers and Ballistic missiles. All games translated to more than 25 languages. The games was multiple times shown in top trend strategy game in Google play. Easy to play, very fun and addictive strategy games. Other games of the Empire 2027 saga are Asia Empire 2027, Africa Empire 2027, Latin America Empire 2027, and Middle East Empire 2027, all of which are available on Android devices.